I've seen your bus in housing... Looks good! 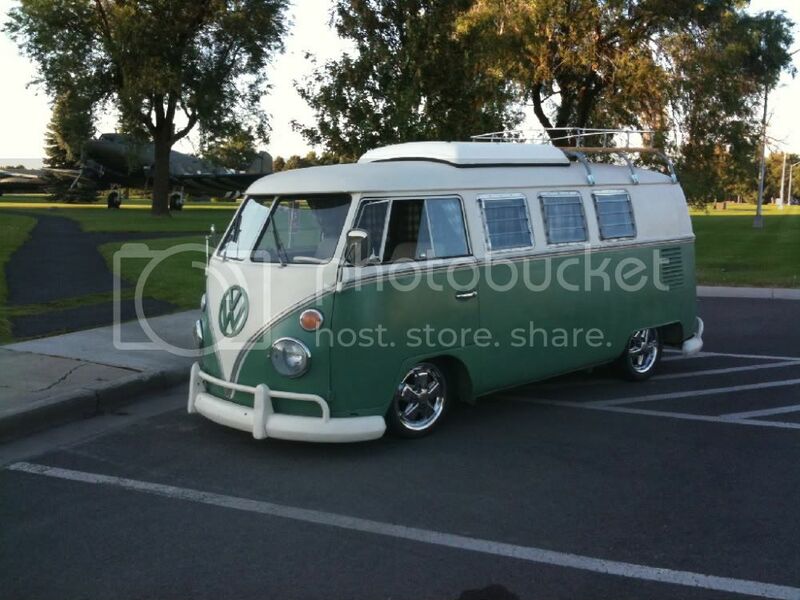 I live on Nebraska, green/white 66 westy sitting in my driveway. Have you heard it as well? Its kind of loud. Some of the guys in my work complain it sounds like a jet landing in the parking lot. I wonder how I haven't seen either of your buses on base. Probably haven't seen my westy on base because I live on base, work off base. So the only time you'd see me is in the morning leaving base, or afternoon coming back on. 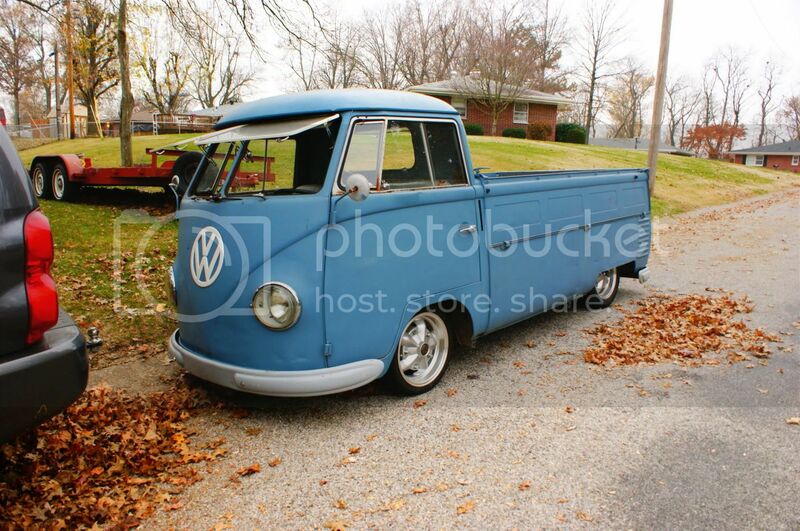 I have a single cab too... But it spends most of its time in the garage. I've seen all 3 of these on base. See your blue 72 over @ CE all the time. and i thought i saw Marks westy camped out down @ Dubtoberfest. Yeah, I like to drive it to work a lot when i can haha. Seems like Fairchild is getting a good VW polulation lately! This isn't the Archer from the Guard who worked winters in the Snowbarn is it?? No, i work in the Electric shop. and I'm not guard haha. Cool...there was a Tim Archer that worked winters with us at the Snowbarn... I got out a few years ago, so I'm sure there's been alot of personnel changes since I've been gone! Some damn nice rides hiding out with the kc-135s, you guys need to make it into town for the breakfast sometime or come roll with us to the swap next weekend. I'll be back in Spokane by the 1st of November... We've been meaning to get with the locals for the breakfast deal - but wasnt sure how you guys would feel about me and the wife showing up with a 3 yr old and a 6 yr old in tote. Kids and wives are always welcome, since we do it so early on a Sunday the kids coming isn't an issue,,, I think, Pat normally brings his little crew along but maybe he is teaching them to drink early? Saw the '72 by CE this morning while running a buddy to the BX and BK.